Montreal mayor says he didn’t push to mute a Toronto cop on Twitter. 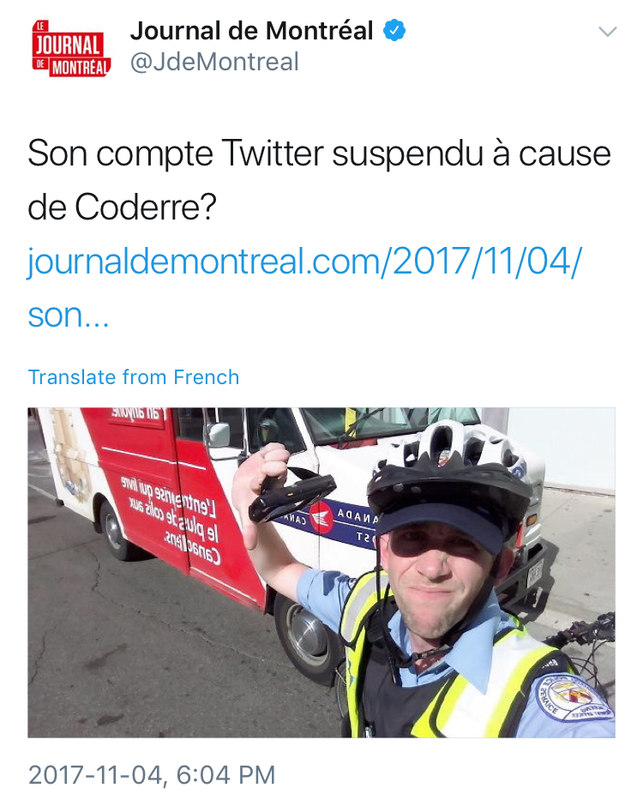 Just before he lost Montreal's mayoral election, Denis Coderre was accused of contributing to the deactivation of @TPS_ParkingPal's Twitter account. Parking officer Kyle Ashley, who used his social media presence to shame cars parked in bike lanes, says some heat came from Montreal's city hall, where his tweets were being used to push Coderre into action on road safety. Coderre's staff denied having any role in this. “Climate Barbie” clash rouses The Rebel back to relevance. 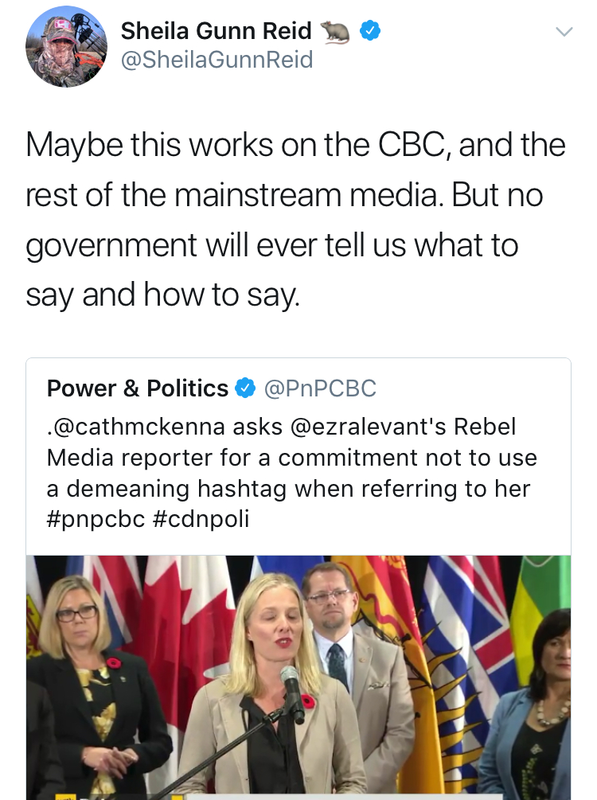 Environment minister Catherine McKenna interrupted her own press conference to ask Rebel Media's B.C. bureau chief, Christopher Wilson, if he could stop using that nickname for her. Wilson claimed he never used the term himself—although he did—then passed the buck to his Alberta colleague, who sniffs censorship in the air. “Julie Payette’s transgression is more serious than some suppose.” John Ibbitson enters the debate over the governor general, suggesting that Justin Trudeau’s defence of her science spiel could have political implications—not to mention its perceived affront to all faiths. 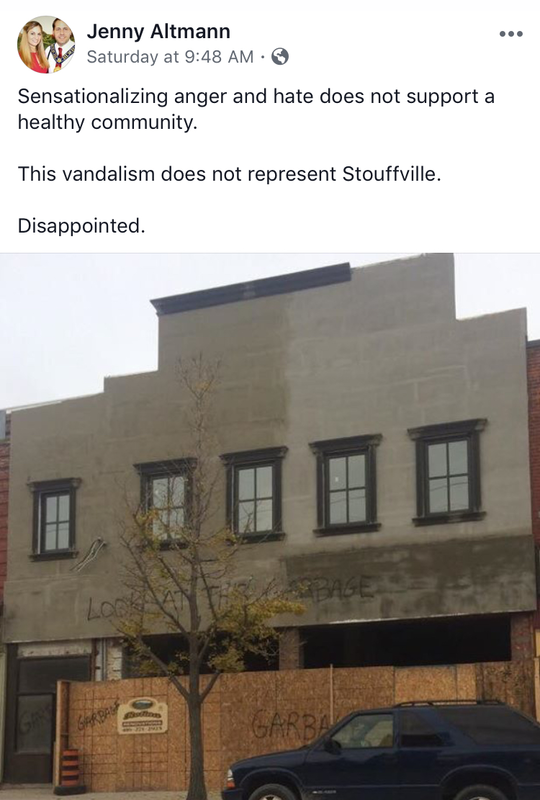 It could get even uglier if Payette starts hearing from First Nations. 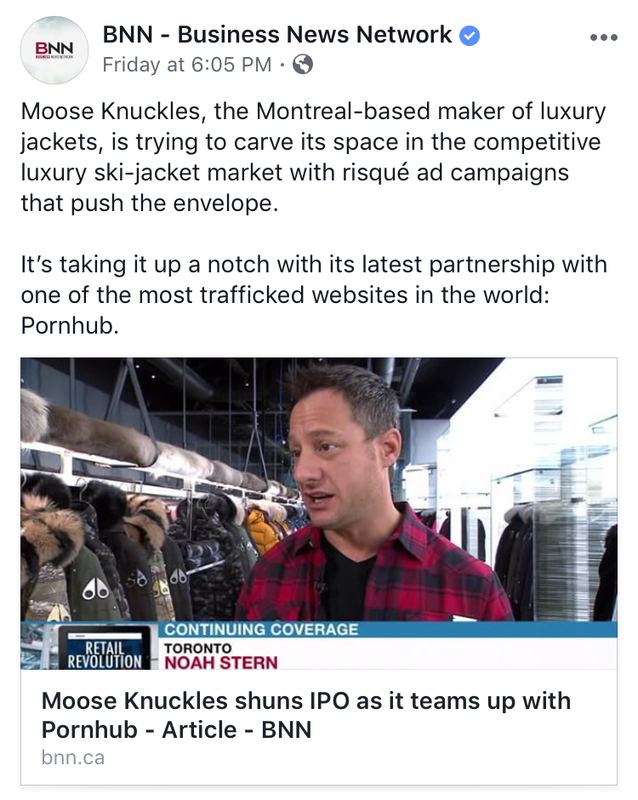 Moose Knuckles will be stroking its stuff on Pornhub. The parka-maker just opened its first retail outlet, at Yorkdale—marijuana cookies were among the door prizes—coinciding with a partnership with a fellow Montreal brand, whose deleterious effects on society were recently documented by Jon Ronson. Three years ago, Moose Knuckles met with backlash for a video parody of the FLQ. A campaign with Porhnub is sure to seem respectable by comparison. A proposed name change for an Etobicoke high school, which is being suggested on the grounds that Rudyard Kipling is now problematic, has met resistance in the form of an online petition.